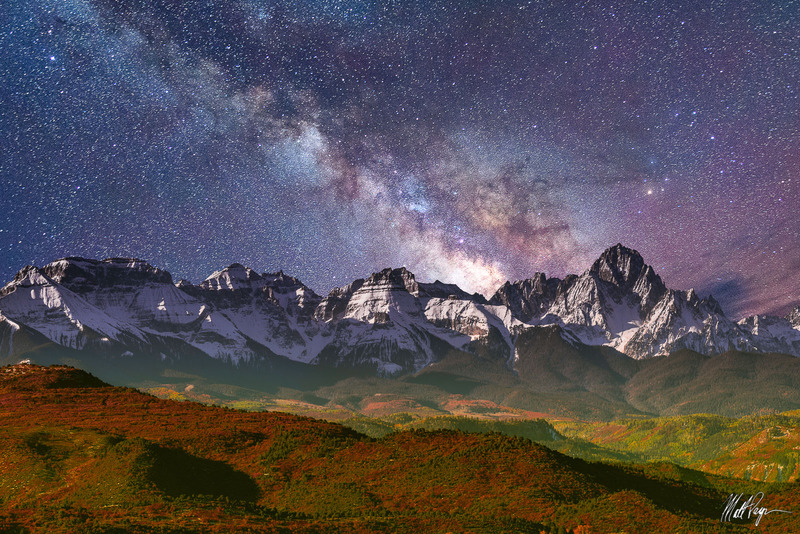 The Milky Way rising behind 14er Mount Sneffels near Ridgway, Colorado on a magical cold autumn /fall night. I took two different exposures at two different focal lengths - one for the mountains and one for the Milky Way, and blended them together in this composite fine art photograph. To be perfectly clear - this is not a realistic scene by any stretch of the imagination; however, it is one of my best selling photos!